In Blue Lagoon, players sail the seas, explore islands, and collect resources. Popular game designer, Reiner Knizia, has developed another classic hit. This beautiful game is easy to learn, rich with strategy, and has plenty of player interaction. We can’t wait to bring our copy home for the holidays! This quick party game will test your brain and challenge you to solve puzzles faster than your opponents. Collect all four brain tokens to win! 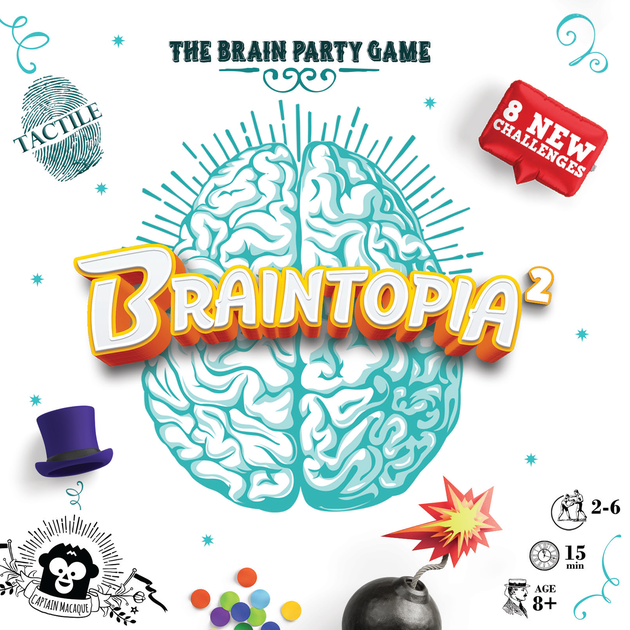 Another recent release, Braintopia for Kids, allows children ages 6+ to hop in on all the fun! Buy Braintopia for Kids here! Who would win: a kindergarten class that can breathe fire and is wearing jet-packs or a pirate swinging a shark on a chain with a seaway? 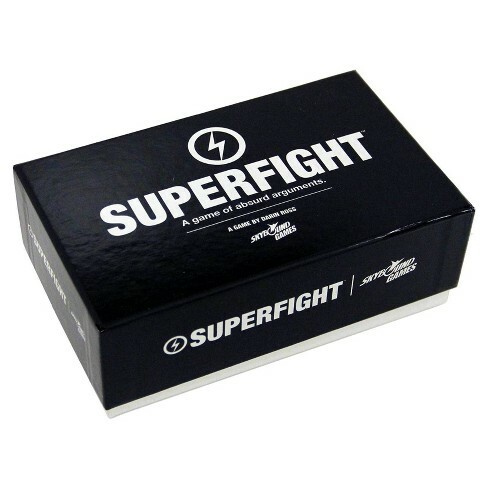 In this hilarious game of absurd arguments, you play cards from your hand to create characters with superpowers and make your claim for why they would win a fight. Convince players to take your side to win the round! Even if you don’t win, this game is sure to create hilarious and fond memories for the whole family! Construct your own beautiful coral reef! The rules of Reef are simple: pick a card from the display or play a card from your hand. 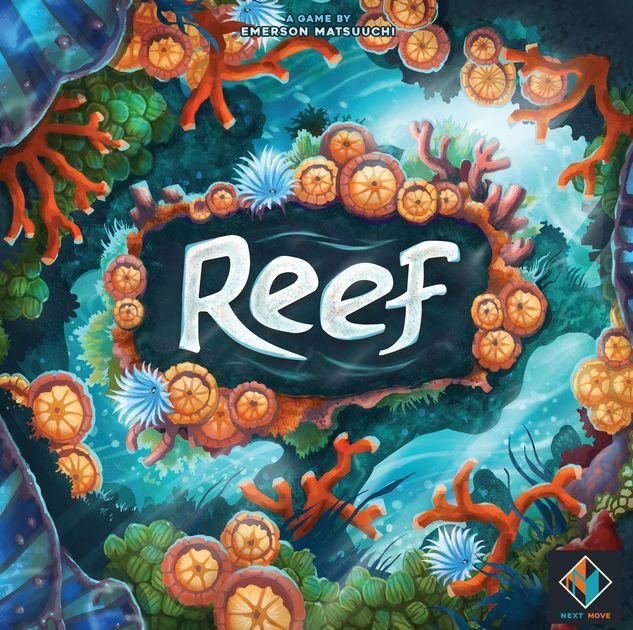 Reef is attractive and approachable, making it the perfect game to bring home and play with the family! Tags may just be our new favorite party game! The pressure is on, you have 15 seconds to find words that fit the categories. Rack your brain to score the most points! Making a game that plays well at two AND plays well at twelve is not an easy task, but Tags easily fills that gap. Top Ten Family Games for the Holidays!